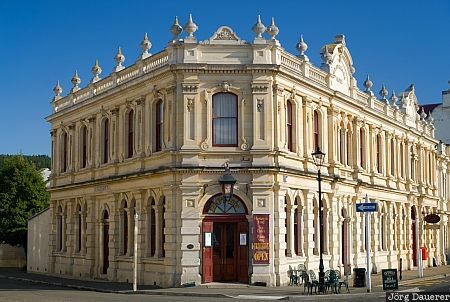 The facade of the Criterion Hotel, a typical limestone building in downtown Oamaru. Oamaru is in Otago on the south island of New Zealand. This photo was taken in the evening of a cloudy day in November of 2008. This photo was taken with a digital camera.